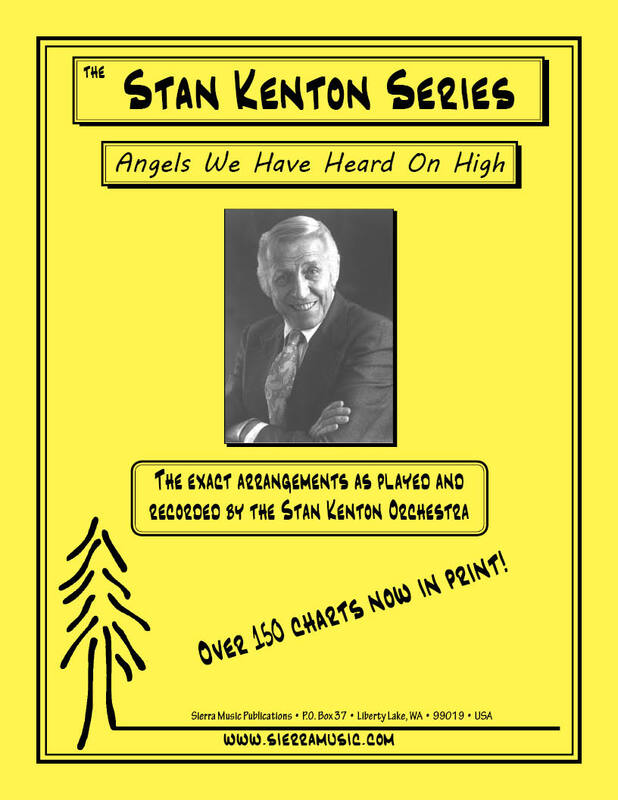 The 1961 Capitol Records recording of Christmas music was a smash hit for Kenton. 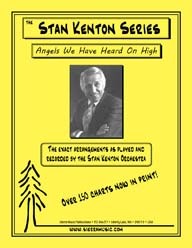 It contained arrangements by Kenton and (mostly) Ralph Carmichael of traditional Christmas music. This particular arrangement is one of the more traditional of the ten we have in print. It does have a swinging section, and it works very well! The original arrangements were written for 4 trumpets, 4 mellophoniums, 4 trombones, tuba, keyboard, bass, drums and auxiliary percussion. These are the charts we sell, but we've also included saxophone parts which take the place of the mellophonium parts. They work quite well! From Kenton's Merry Christmas recording.